The consideration of the planetary carrier geometry with the parameterized approach (used for the deformation calculation and thus the calculation of the load distribution) has met with great interest in the last KISSsoft release and has proved to be very practical for the design process, as well as for the verification. For this reason, the definition possibilities in Release 03/2016 have been enhanced again. Now, cut-outs can also be specified in detail, as well as flanges with straight flanks. The actual carrier geometry can now also be imported from a STEP model to verify the planet carrier deformation. 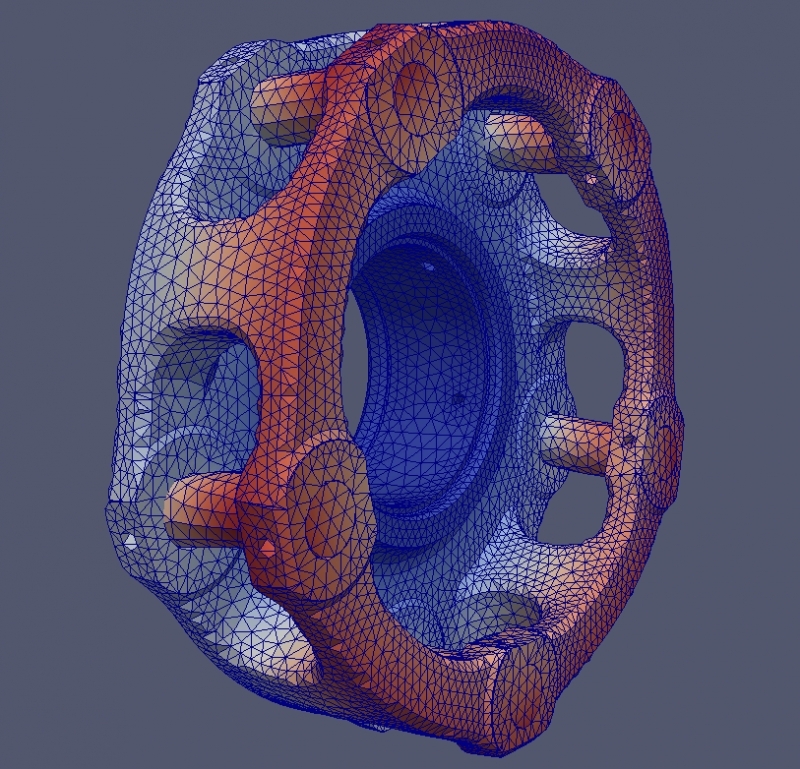 This STEP model is automatically meshed and the supplied FE software Code Aster calculates the resulting deformations. For the review of the FE results, the graphic evaluation with the FEM post-processor Salome is now also possible directly within KISSsoft. In addition, the planetary carrier deformation can be imported directly from an ABAQUS file. In the instruction Consideration of the Deformation of a Planet Carrier, you will find the different ways, how the misalignment due to the deformations of the carrier can be input, up to the point of the FEM calculation in the background. In doing so, the document guides you step by step through the whole process.